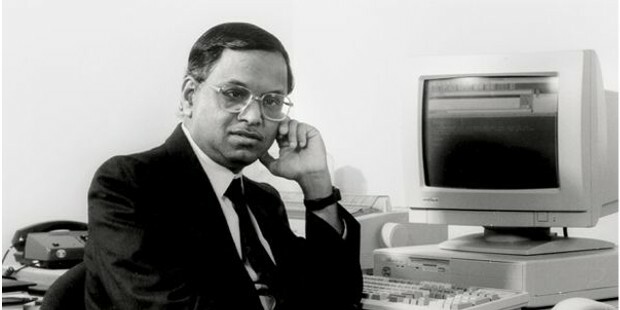 Nagavara Ramarao Narayana Murthy was born on 20th august, 1946 in the Kolar District of Karnataka, India. 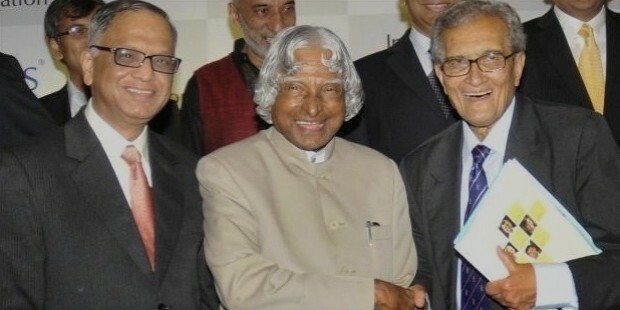 He studied electrical engineering at the National Institute of Engineering, Mysore and in 1969 completed his M. Tech at the Indian Institute of Technology, Kanpur. Immediately after that he left for London, where he worked a company called SESA. He worked there for 3 years and excelled in designing a software for managing air-freight at the Charles de Gaulle terminal, Paris. He decided to return to India to start his own company. 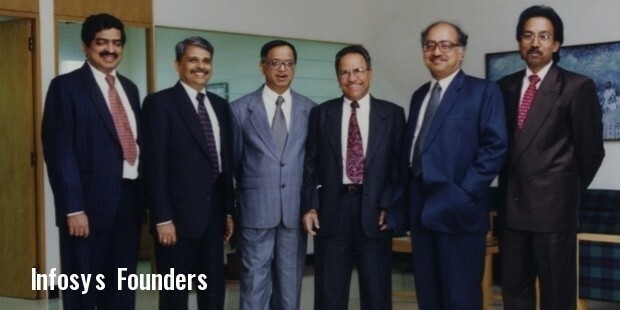 He started his career in IIM Ahmmedabad where he joined as the chief systems In 1976. He started an IT software consulting firm called Softronics in Pune. He described it as one of his earliest learning experiences. The company failed and he left it to join Patni Computer Systems, Pune. Here he met his future wife who would incidentally provide the initial investment for starting Infosys. 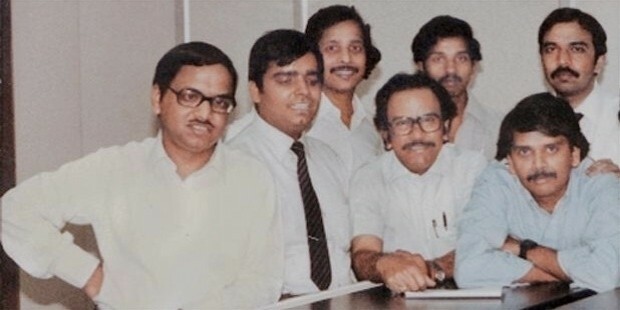 In 1981, a new chapter began in his life when he along with 6 other software professionals started a company called Infosys. Very few may have realized the growth this company was going to experience. 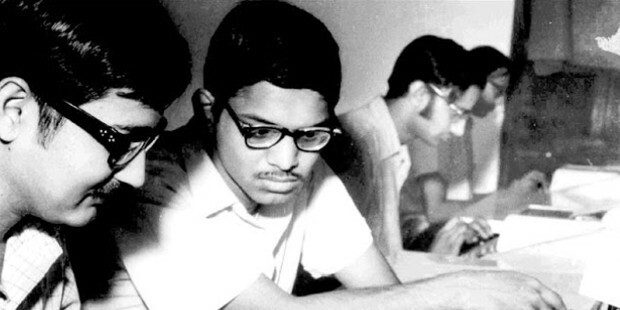 In the beginning Infosys progressed well but couldn’t cross its yearly gross of 50 crores.Murthy’s dedication and planning saw that the plans of their company where executed well and this made all the difference. 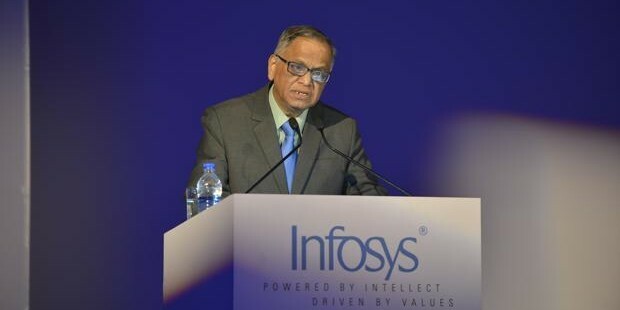 Now Infosys started growing at a steady rate each year with Murthy firmly at its head. 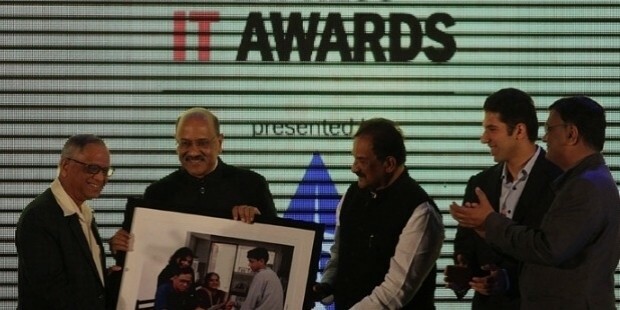 His leadership skills made a lot of difference in bringing growth to his company and also bringing the new IT wave into India.He is aptly addressed as the father of the Indian IT sector because of his immense individual contributions in pioneering outsourcing to India in the IT sector. This has helped the Indian economy immensely and gained him respect and laurels from both Indian citizens as well as worldwide audience. From 1981 to 2002, he served as CEO of the company. At Infosys, he was involved in designing and implementing the Global Delivery Model for outsourcing IT services from India. This was widely appreciated and put into use by most of the companies operating from India. From being a leader with a clear vision who has taken a small enterprise to make it a establish a strong hold on the international market, today Infosys has 3 billion dollars in revenue, 70,000 employees and over 500 customers. He served as chairman from 2002 to 2011. 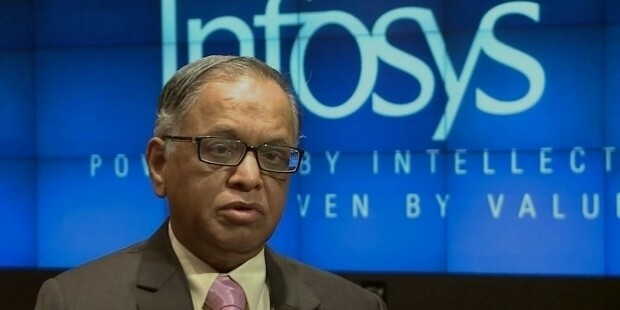 After taking Infosys to such heights, he retired in 2011. But Infosys couldn’t be without its spearhead for long. 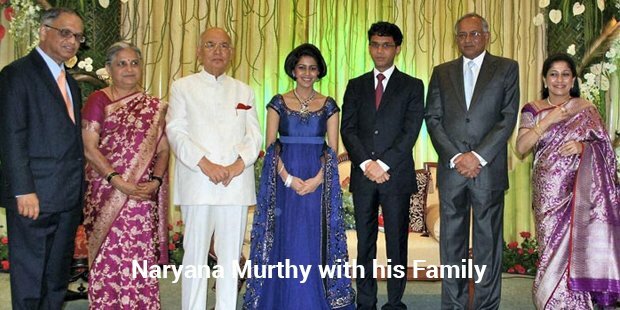 Narayana Murthy is married to Sudha Murthy (neé Kulkarni), a fellow Electrical Engineer who had topped her class in both B Tech and M E and received gold medals from the state of Karnataka and Indian Institute of Engineers. She is now a Social worker and an author. They have two childern, Rohan and Akshata Murthy. Rohan was educated at Harvard and Akshata in Stanford, and they're both well settled in their chosen fields. In 2013 he was appointed as Executive Chairman and additional Director for a period of 5 years. He is considered as one of the top 5 entrepreneurs in India. 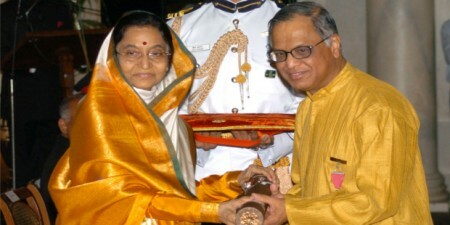 He has been awarded the Padma Bhusan and the Padma Shri and numerous other awards for his achievements. Inspite of his achievements he is down to earth and always at the service of the people and the nation. 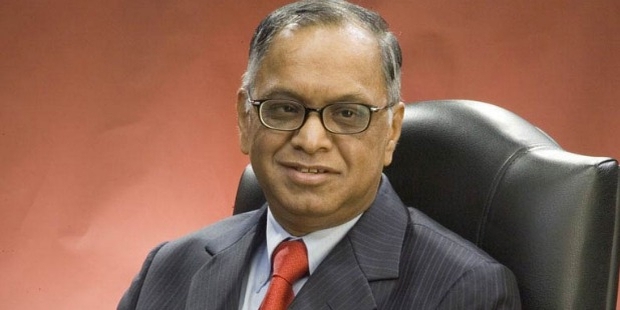 This is what Narayana Murthy stood for. His achievements and values are an inspiration for every Indian. We can say that he truly lived the Indian dream. And hope the youngsters in this country will be encouraged to walk in his footsteps.